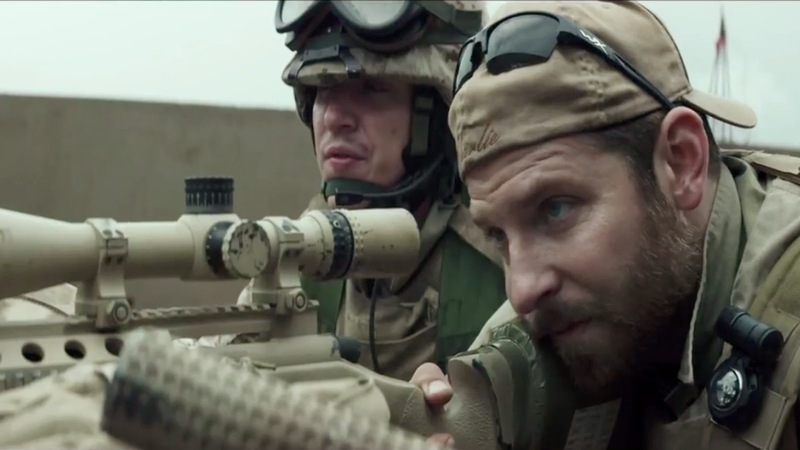 The Curious Wavefunction: Boundary value conditions, domain applicability and "American Sniper"
Boundary value conditions, domain applicability and "American Sniper"
Actor Bradley Cooper in "American Sniper"
General relativity is a generalization of Newtonian mechanics which applies to large objects moving at high speeds that curve spacetime. Similarity, quantum mechanics is a generalization of classical mechanics which applies to very small objects like electrons and photons. Newtonian mechanics thus has a domain of applicability within which it works perfectly well even if it fails to work under the larger rubric of Einsteinian general relativity. Similarly classical mechanics has a domain of applicability within which it is golden. Both are perfectly comfortable within their own boundary value conditions - medium-sized objects and slow speeds for instance. If you think about it, morality has similar domains of applicability. I was reminded of this comparison when I watched the Clint Eastwood-directed movie "American Sniper" over the weekend. The movie is about Chris Kyle, a celebrated US Navy sniper who over his four tours of duty in Iraq racked up 160 confirmed kills. The film has garnered some controversy for its supposed glorification of war and mindless patriotism. Kyle faced some gut-wrenching decisions in his sniper career in gunning down women and children who were enemy combatants, but by most accounts the decisions were quite simple for him and his conscience seemed clear. Personally, irrespective of where my political sympathies lie, I thought the movie was very gripping and well-made and enjoyed it, and Bradley Cooper was a revelation. After it ended I witnessed a kind of sustained and erie silence as the audience shuffled out of the theater, a silence that I haven't encountered very frequently before. Since the audience was based in Boston, MA, it is unlikely that the silence was the result of them being enamored and stunned by Chris Kyle's sacrifice and patriotism. Instead I would like to think that the contemplative pause was provoked by a classic and highly problematic dilemma that mankind has faced since it acquired the ability to wage war: how can you vigorously oppose what you think is a highly unnecessary and immoral war and yet support the actions and decisions of individual soldiers like Chris Kyle who are putting their lives on the line with courage? It's a question Americans of every stripe face: when a soldier appears at the airport after returning from a tour, do you condemn him or her or laud their courage? It's a very difficult question to answer, one whose answer is certainly not black and white and which we will almost certainly never definitively figure out in the foreseeable future. But a comparison with theories in science and especially in physics at least provides an interesting analysis in my opinion. Here's the point: When Chris Kyle was looking down the barrel of his sniper rifle and had to pick between the life of a ten year-old Iraqi kid carrying a grenade and the life of five American marines, he picked the marines. The choice still wasn't easy but it was the best one to make under the limited parameters and boundary value conditions that he was operating under. The parameters were related to choosing between culpable Iraqi lives and American lives. The boundary value conditions had to do with the narrowly defined parameters of his mission or assignment. You could convince yourself that he had the right solution under those conditions even if you vehemently protested the war at large. The fact of the matter is that moral decisions, as hard and endlessly unanswerable as they may be, still often operate within a limited domain of applicability. These domains of applicability have announced themselves in every war from the Mexican war to Vietnam. You can be for or against the moral decisions with some degree of confidence within those particular domains, even if you may be entirely opposed or in favor of them when the domains expand. It's like being in favor of Newtonian mechanics when you want to send rockets to the moon while being vehemently opposed to it when you want to send rockets to a neighboring galaxy containing black holes. Or like being in favor of classical mechanics when you want to deal with large blocks of gold while denying the use of that domain of applicability while analyzing individual gold atoms and the energy levels of their electrons. You can therefore potentially consider the political leaders who orchestrated the Iraq war to be war criminals even if you agree with the difficult decisions that Kyle made in those few seconds when he was looking down that gun barrel in Fallujah. There may be no answer to moral questions like those surrounding the Iraq war, and it is very likely that we may be forever divided into black and white bins when it comes to answering those questions. But I would like to believe that by dividing the conundrums into domains of applicability and at least agreeing that one's answer may depend on the exact boundary value conditions that one is dealing with, we may possibly reach a consensus and reach out into that gray area that always bedevils the gut-wrenching implications of our morality in both war and peace. Perhaps then we can meet halfway across and reach some kind of consensus, even if that consensus may be occupying the kind of twilight netherworld that entangled electrons do. "when a soldier appears at the airport after returning from a tour, do you condemn him or her or laud their courage?" As one of those soldiers who also happens to be a neuroscientist, you freaking acknowledge the sacrifices they have made for our country. Most likely they did not go of their own volition- they were over there because this nation- this parliamentary republic- made the decision to send them, subjecting them to great risk and severely disrupting their lives, families and careers. Dislike the war all you want, but respect the men and women we have consensually sacrificed. Yes, indeed: another good way to describe the boundary value conditions. "they were over there because this nation- this parliamentary republic- made the decision to send them, subjecting them to great risk and severely disrupting their lives, families and careers." People join the army voluntarily. So, it is a job and the expectations of the job are very clear before signing up. People choose it and get paid for it (with all the other benefits) for several reasons. I do respect people's choices though. "The feelings of devotion, self-sacrifice for one's neighbor, the whole morality of self-denial must be questioned mercilessly and taken to court.... There is too much charm and sugar in these feelings of 'for others,' 'not for myself..."